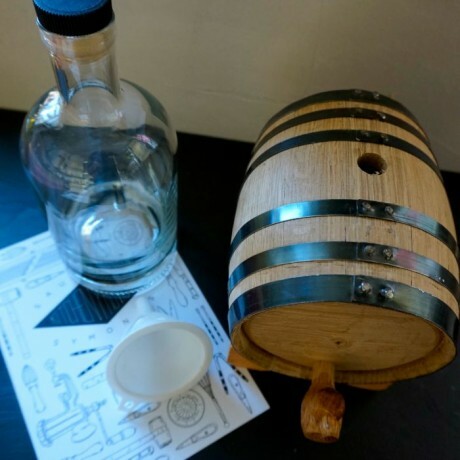 Age-your-own whiskey or rum at home! 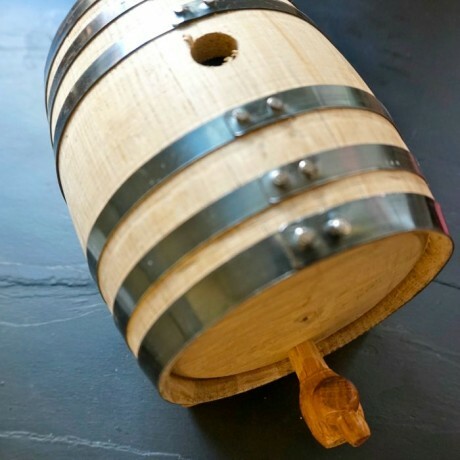 The processes involved are simple, the results fantastic, and the barrel will look pretty darn cool on your sideboard. When you buy a decent bottle of whisky or rum, the spirit is aged for years rather than months. In order not to wait that long for the results, the small size is a huge advantage. 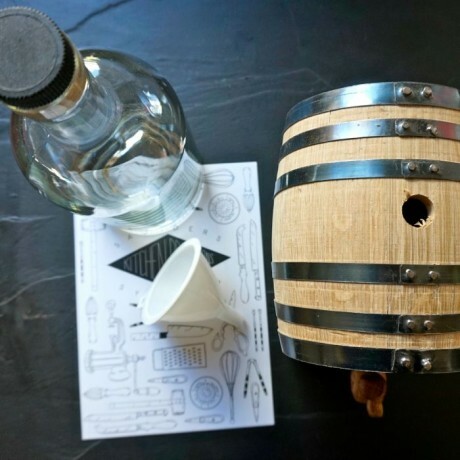 In a small barrel, the surface area of charred wood that the spirit is exposed to is much greater, allowing a quicker transfer of the woods ageing properties. You will already start to see a huge difference in the spirit within a few weeks. The barrel ageing kit contains the equipment and instructions to age your choice of either rum or whisky. Add a bottle of white, un-aged spirit and apply some patience while the spirit ages and takes on the charred flavours of the barrel. Add 1 litre of un-aged spirit - whisky or rum (not supplied). All presented in the Kitchen Provisions packaging.